If you want to grow your dropshipping business, then you should set up use gift cards. Gift cards are booming; they boast an estimated worth of $160 billion each year. Luckily for you, we’ve compiled all the information you need to get up and running. Put simply; gift cards are just another way you can profit from your e-commerce store. They’re a convenient solution for build customer loyalty and increase their life time value. 55% of gift card users visit the online store more than once. This means increased traffic. The average gift card user typically spends an additional 20% of the value of the gift card. 74% of recipients enjoy receiving gift cards or coupons at Christmas or during other festivities. Extra traffic and a boost in profits, what could be better? Fortunately for you, online gift cards are incredibly quick and simple to set up, and the maintenance is relatively low, which is just another reason you should consider getting one up and running. First Data’s U.S. Prepaid Consumer Insights declared that 68% of consumers said that gift cards are their preferred type of incentive, more likable than coupons or bonus bucks. And when you give users presents that they really like, they normally come back and buy again and also you will increase your customer Loyalty. Suddisfied users will speak well about you on social and to their friend and this is more powerful than any advertising. Create a Customer Loyalty Program and give $5 credit or 5% discount gift card after 200$ purchase. Discount included: when a customer buy for the first time on your shop you can add a gift card with a discount on his next purchase. Using Gift card for Complaints: if an inconvenience happens you can consider to give a gift card away to your customer as an apologies. Partnering With Other Companies that give complimentary services and put their gift cards in your box. Seasonal Gift Cards: give a gift card away if someone buy an item in a specific day or moment. Social Contest: create a contest where people can win gift cards. As we’ve just said, give a gift cards are a fantastic way to boost customer loyalty and to find new customers, because it is very rare recipients don’t redeem the credit on their gift cards. It’s then down to you to give them a fabulous customer experience to ensure you secure their repeat custom and potentially a referral or two! You’ve probably seen several gift card promotions in stores, especially as Christmas or other festivities approach. People love getting something for free or get a discount on their next purchase – so use this to your advantage. Running a well thought out promotion is an excellent tool for developing brand loyalty with customers. A great example of this is giving away a $5 credit gift card when a customer spends over $100 on is first purchase on your store. Not only does this marketing method boost brand loyalty, but it may also encourage customers to spend more money than they initially intended, which means you make a higher profit- win-win! Top Tip: make the gift cards valid once the holiday season is over and done with. This encourages people to start spending again after Christmas. In addition to all that, you could also incorporate gift cards into a loyalty scheme. For example, once someone’s made 10 purchases they’re entitled to a free $10 gift card- or something along those lines. Customers love loyalty programs- they’re an amazing way of promoting repeat custom! Digital gift cards can easily increase the traffic on your website. How? You can create a Social Contest, where you can ask people to share pictures to subscribe newsletters to participate to a contest and give them as award a gift cards. In this way, you will find new customers, you will increase your sales and also make noise and increase the traffic on your website. Plus, you can increase your sales using partners. If you put your partner’s cards inside your boxes you use their affiliate program to get a reward for each customer that you refer to them. Or you can create your affiliate program and find partners that can put your gift cards on their boxes to promote your business. Returns are a nightmare for online store owners. They cost you time and money, which is the last thing any entrepreneur wants. Try offering disgruntled customers a gift card instead of a monetary refund. This is an amazing way of keeping the money in your company, and it gives you another chance to impress the prospect with your stock. The same is true of customers with a complaint. You can use a gift card to help appease them. This reduces the likelihood of getting negative online reviews, and you might be able to retain their loyalty to your brand. Alternatively, you can also use gift cards to reward employees who are performing well, or you could give away a few to your most loyal customers. As you can see, these are fabulous for helping build relationships! How to Grow Your Dropshipping Business with Gift Card? If you are asking yourself how can you send gift cards inside your boxes using the dropshipping as shipping methods? The answer it is easy: you can start to use Yakkyofy! Yakkyofy is a software that helps automate all the dropshipping business daily task, provides dropshipping products from China and also personalized packaging and bags. 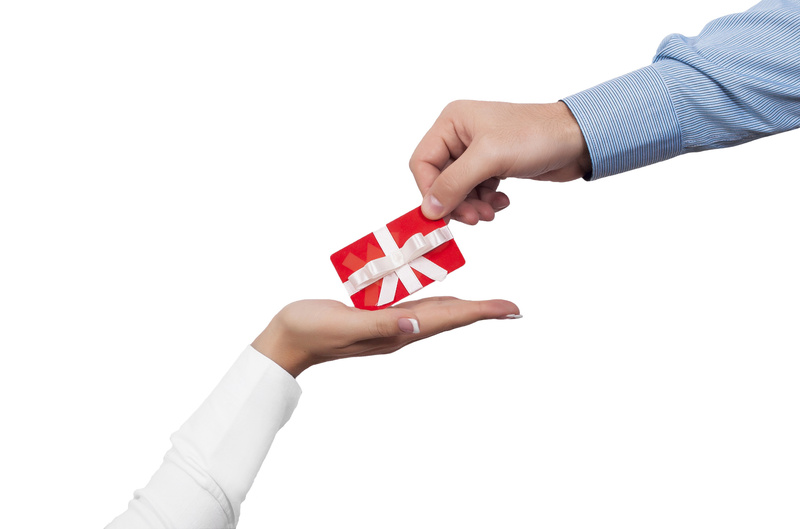 With Yakkyofy, it is really easy to add a gift card in your package, easy as a click. Do you want to grow your dropshipping business? Here's how gift cards can be used as the ultimate tool for dropshipping success.